What we do is we get a group of people from all aspects related to that process, get them in a room for four days and really give them the leeway to fix the problem. We’re firm believers that the people who know the work are the best ones to fix it. Next year’s score card goals are set to change, some of which are based on staff suggestions. What we’re really going to push in this next year is something we call our bright idea program. The idea is that we give staff a way to improve their work. Did you catch the theme? The CEO and Chief Quality and Strategy Officer are constantly talking about using the voice of the employee to drive improvements. Whether it be on an improvement team or through an employee suggestion system, the best ideas to improve the patient experience are coming from those closest to the patient on a daily basis. Leaders must chart the vision and set the strategy in most organizations, but the employees are the ones often with the best ideas on how to execute the ideas and improve patient satisfaction. 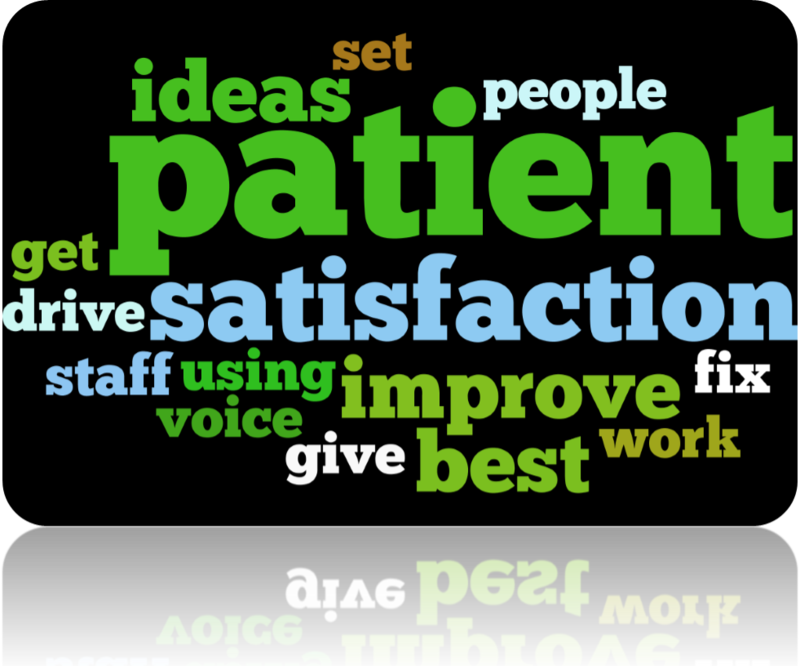 Create a patient satisfaction improvement strategy where the employee’s voice rises up for the benefit of the patient.